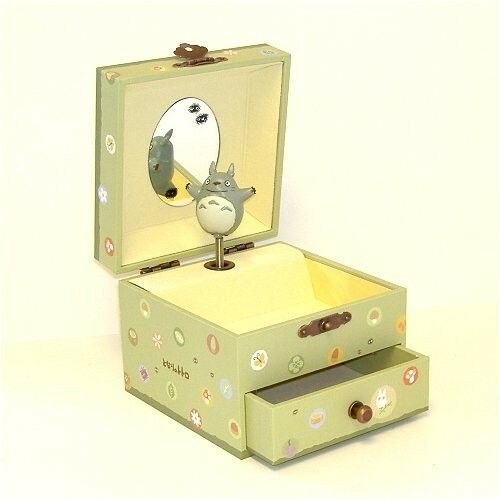 Dance along with Totoro with this music box! This little music box had one drawer, and plays the theme song from the movie, "Totari no Totoro". Size: 3.25" x 4" x 4".